You have just over a week to lock in those Daddy’s Day gifts and I’m here to give you a dig out as I know what a tough oul bunch they can be to buy for! 1 This stuff smells amazing! | 2 Wireless headphones | 3 I love this colour | 4 Clink! 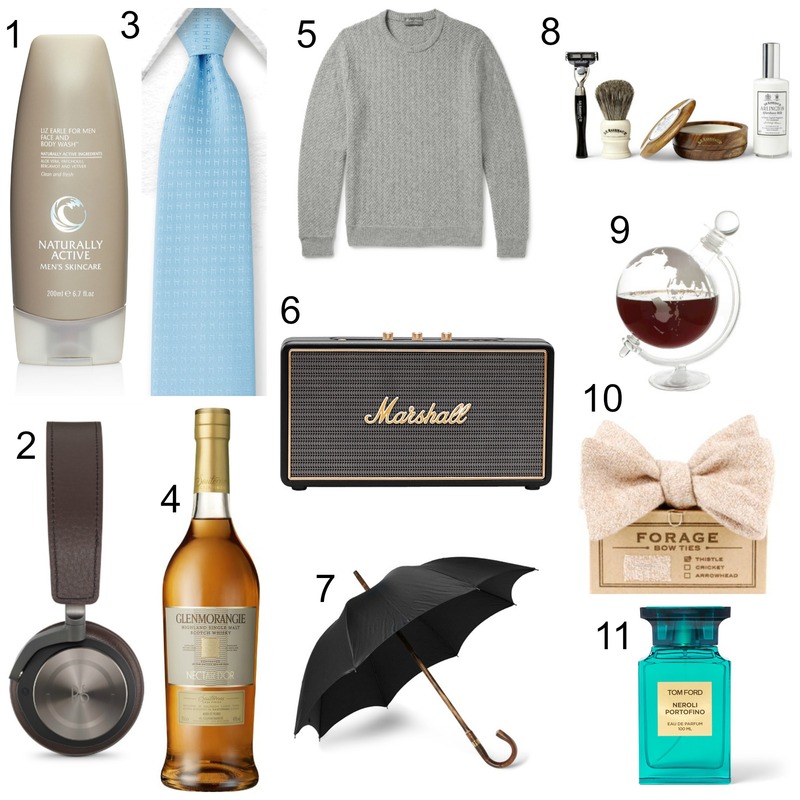 | 5 Snuggly posh jumper | 6 For the music lover | 7 Brolly (check out its name!) | 8 Shaving set | 9 Fit for a Bond movie | 10 Snazzy Bowtie | 11 This also smells amazing! Lol, some of these gifts I’d even buy for myself!! Love that blue tie! Perfect Father’s day gift 🙂 Thanks for sharing Rebecca! I love it too Courtney, such a great colour! #9 looks unique and interesting =o) thanks for putting this together! These are really good gift ideas! These are great ideas! I definitely need to stop lagging and get my dad a gift already!